Legal advice: Can I claim exemption from jury service if I am running a clinic on the proposed dates? Those registered with one of the healthcare professional regulators, including the Nursing and Midwifery Council, used to be able to claim exemption from jury service. This changed with the introduction of the Criminal Justice Act 2003. The current position is that unless you are aged under 18 or over 70, have a mental illness or been convicted of a criminal offence (subject to certain criteria), you must undertake jury service if you receive a summons to do so, unless you have already served within the past two years. 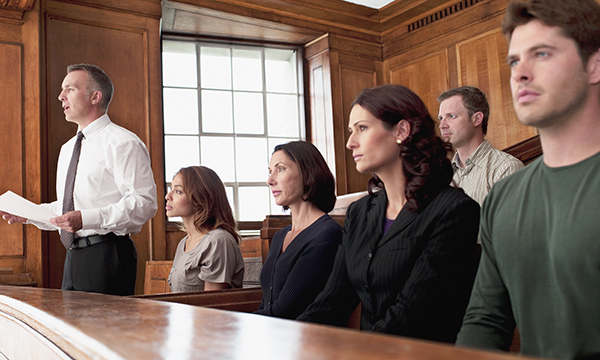 Jury service is seen as a civic responsibility shared by everyone. Under the Criminal Justice Act 2003, the criteria changed on the types of individuals who would be ineligible, and those who can claim exemption as a right. This was to increase the size of the pool from which members of a jury can be summoned. Anyone can ask to be excused from a jury, with the reasons considered according to individual circumstances. Reasons for being excused include having a physical disability which would make jury service difficult, insufficient understanding of the English language or care responsibilities. All excusals from jury service are at the summoning officer’s discretion. A request for excusal will normally only be granted if the summoning officer is satisfied that it is unreasonable for the person to be asked to perform jury service at any time over the coming 12 months. The preferred outcome of any request for excusal is deferral. Where jury service is deferred, the summoning officer provides another date on which jury service is to be undertaken. A deferral is generally only granted once. It seems likely that this is what will happen in your case – rather than receiving an exemption or excusal from your jury service, it will be deferred.